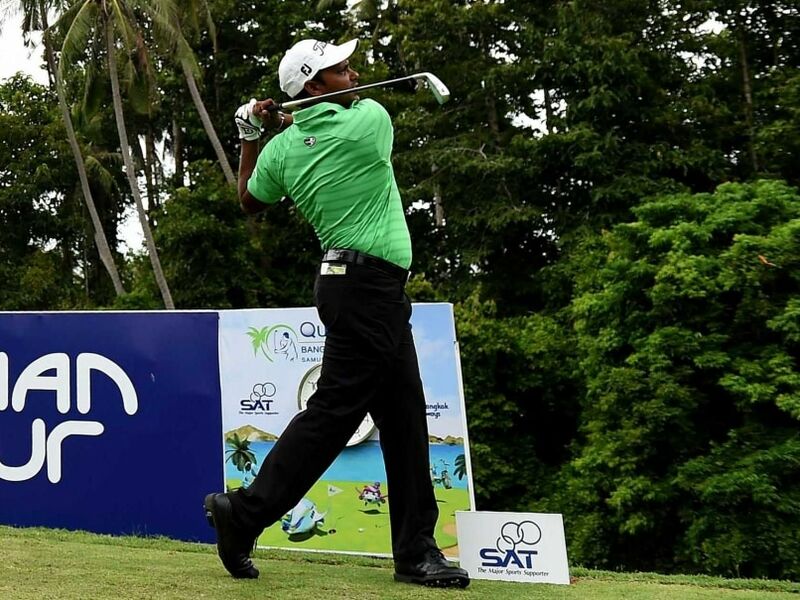 SSP Chawrasia who had skipped the Panasonic Open India, putted very well and needed just 28 for the round. Chawrasia, who skipped defending the Panasonic Open India, which is being played this week in New Delhi, putted very well and needed just 28 for the round. His higher ranked teammate Anirban Lahiri shot 70 and rued missing a bunch of putts inside 8-10 feet as he was lying tied-44th. The leader was Branden Grace, the man who won all five matches at the President Cup last month for the International team. Grace shot nine-under 63 and he led the trio of Kevin Kisner, Steven Bowditch and Thorbjorn Olesen by one shot. The three-time Asian Tour winner, Chawrasia admitted being disadvantaged by the length of the course at the Sheshan International Golf Club, but he made up for it with his precise short game where he made a total of 28 putts. "Honestly this is a very long course for me and I just have to hit it straight and putt well. I did all of that today and I'm happy with how I've played. "It's a good start and hopefully I can continue the momentum," said Chawrasia. Lahiri, meanwhile, remains confident of catching up with the leaders although he could only post a 70 at the Shanghai showpiece, which is also the richest tournament in Asia. The Asian Tour Order of Merit leader did not get off to the best of starts when he ran out with a 37 in his back-nine 10. After a tough front nine, the seven-time Asian Tour winner, hauled himself back with a flawless homeward-nine that was marked with three birdies on holes two, five and seven. "I have a chance of catching up with the guys ahead, because there's lots of birdies being made today. I just started out weak. I missed a whole lot of putts inside eight feet, so that cost me quite a bit. But I'm happy with the way I played on the back nine," said Lahiri. Lahiri found just eight of the 14 fairways, but reached 15 greens in regulation. However, with 32 putts for the round, he was found wanting with the putter and that let him down. Grace posted the lowest opening round in the history of the WGC-HSBC Champions courtesy of a brilliant bogey-free nine under par round. The South African, who won the Volvo China Open in 2012, carded five birdies on his outward nine after starting on the 10th tee, and he picked up four more shots after the turn to move one shot clear of Dane Thorbjorn Olesen, American Kevin Kisner and Australian Steven Bowditch. Englishman Danny Willett, who is currently second behind Rory McIlroy in the Race to Dubai, is a further shot back on seven under par after dropping his only shot of the day on the final hole for a round of 65, the same total as American duo Patrick Reed and Dustin Johnson. World No. 3 McIlroy, who was unable to practise before the tournament because of food poisoning, began his bid for a second World Golf Championship title of 2015 with a four under par round of 68, which included a double bogey six on the 15th hole, his sixth hole after starting on the tenth tee.